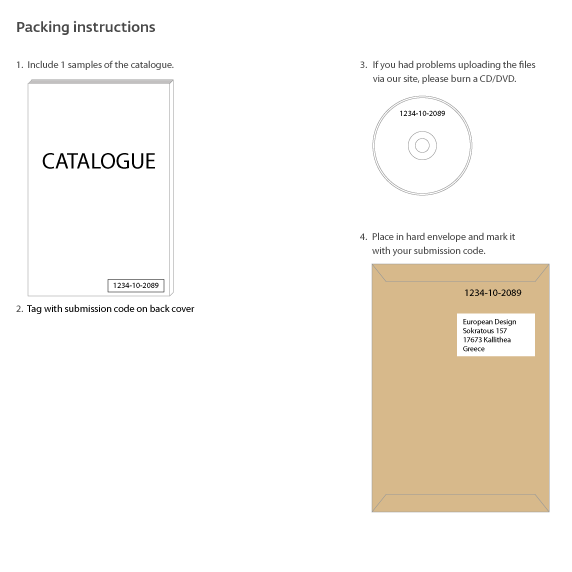 Save image files and photos of the catalogue as JPG (3600 x 1536 pixels, RGB, 72 dpi). Please send one sample of the catalogue. Mark it discreetly with your submission code.